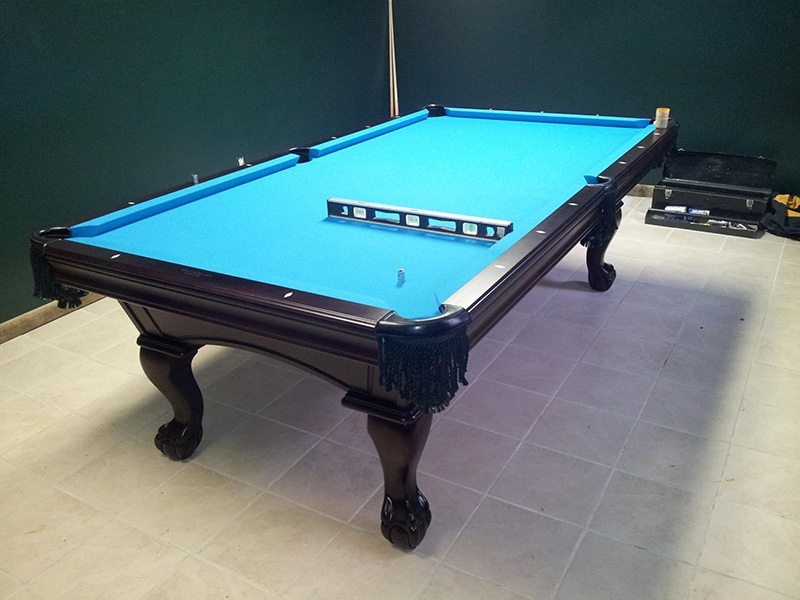 Our Team will go to your home or business, assemble and level your new or used pool table with precision, for optimum play. Our Team will remove the old billiard fabric, and professionally recover the rails and/or the playing surface of your pool table in your choice of cloth color. A complete table check and re-level is also performed. Simonis cloth is also available for an additional charge. Don’t risk moving your pool table yourself and damaging the slate. Our Team will perform a complete table inspection while dismantling your pool table, move it from one room to another, or from one location to another, then reassemble and re-level it. Our team will strip the old rubber from table rails and replace with new rubber and felt for better action and table play. Our team will dismantle your pool table with expertise. Bumpers, side rails and slate are removed; felt is inspected and removed carefully for reuse . Our Team Can also reset slate of pool tables that have shifted out of level. If you have any questions or need additional info don’t hesitate to contact us. What Pool Table Service Do You Need?